‘Sections’, as the name suggests deals with categorising stuff according to one’s requirement. We have done exactly that! Note the keyword being ‘requirement’. As an instructor you might have the requirement to club certain lessons and assessments together and put them in a folder primarily and create a learning sequence. 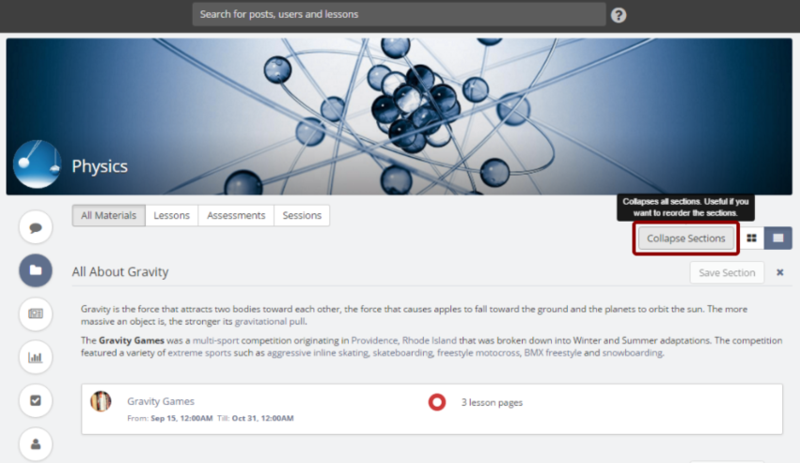 'Sections' does exactly this job and helps you impart a learning sequence to your content in Teamie. 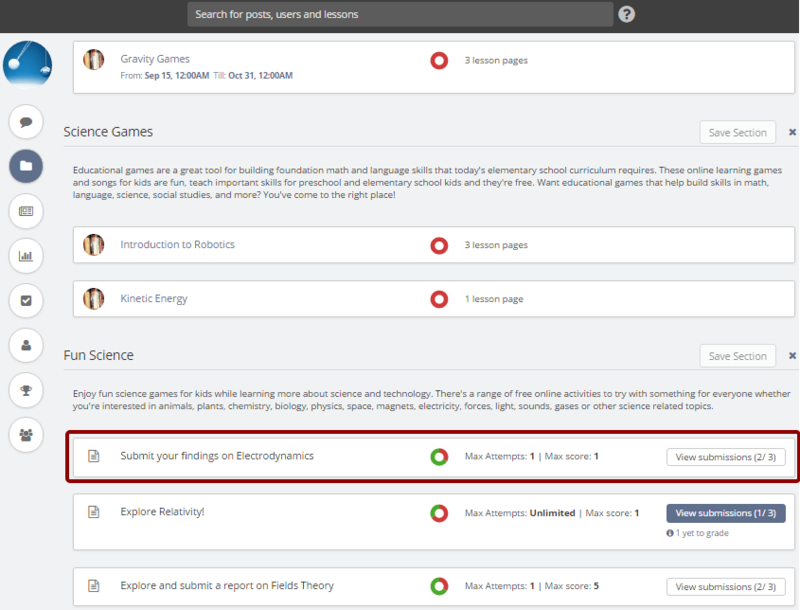 You can also reorder resources within the sections as per your wish. 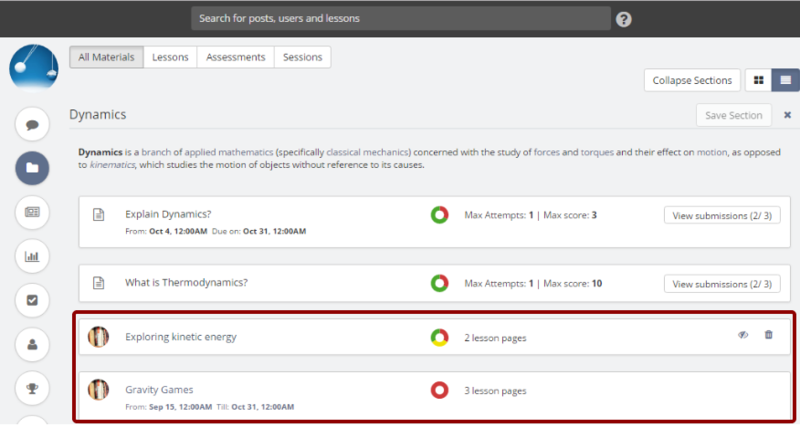 In fact, instead of having two separate tabs to view lessons and assessments, now we’re making it a single tab called “All Materials”. You can find all the lessons and assessments of your classroom here. 1. Click sliding menu at the top left and select a classroom in which you want to create sections. 2. 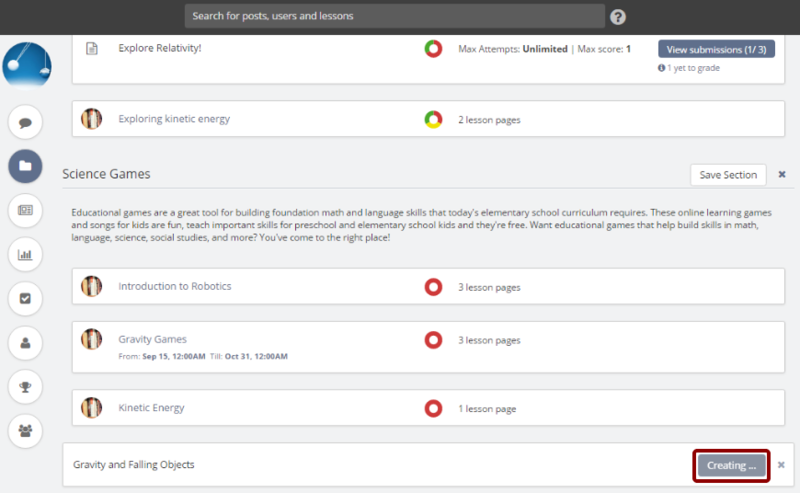 Click Materials to see a list of all the resources (lessons and assessments) in the classroom. 3. You can also access any classroom's Materials page directly from the Dash home page by clicking Materials of the required classroom. 4. 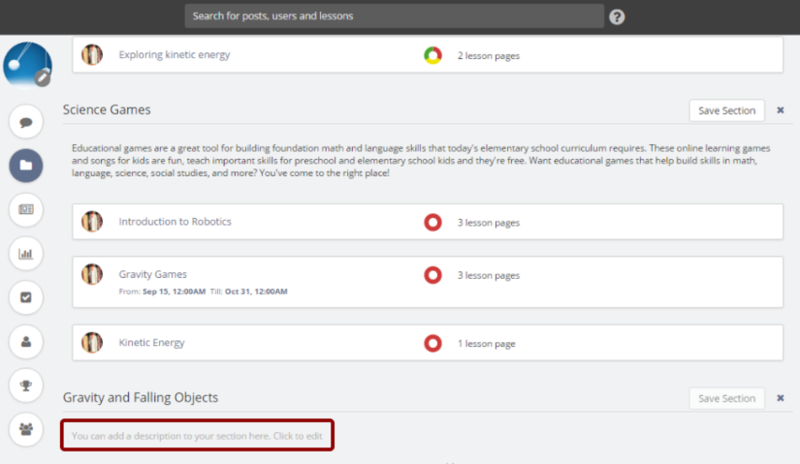 On the Materials page, you have the freedom to add a new section at any desired location. For example, it can be at the top as shown in the following screenshot. Also, hovering your mouse pointer over the empty space in between two resources or right below the last item displays, a +Add link which gives you the flexibility to add section at the corresponding location. Click it at the desired location to create a new section at that location. 5. 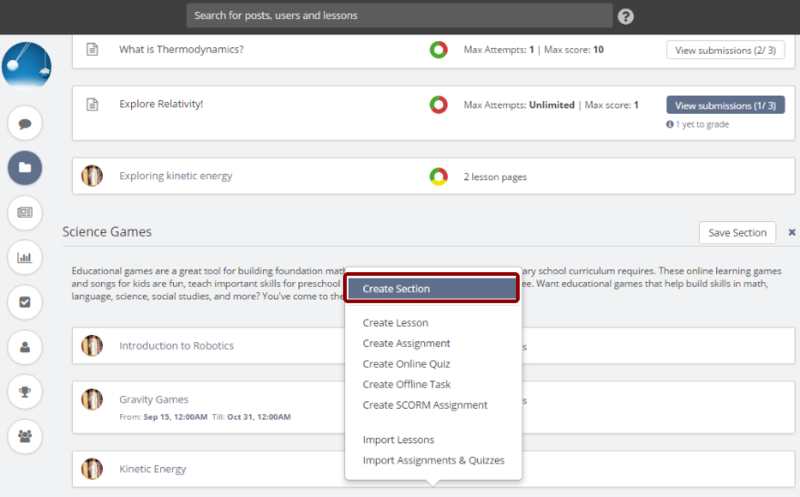 Select Create Section from the list. 6. Enter the Section title and click Create Section. 7. The section gets created shortly. 8. 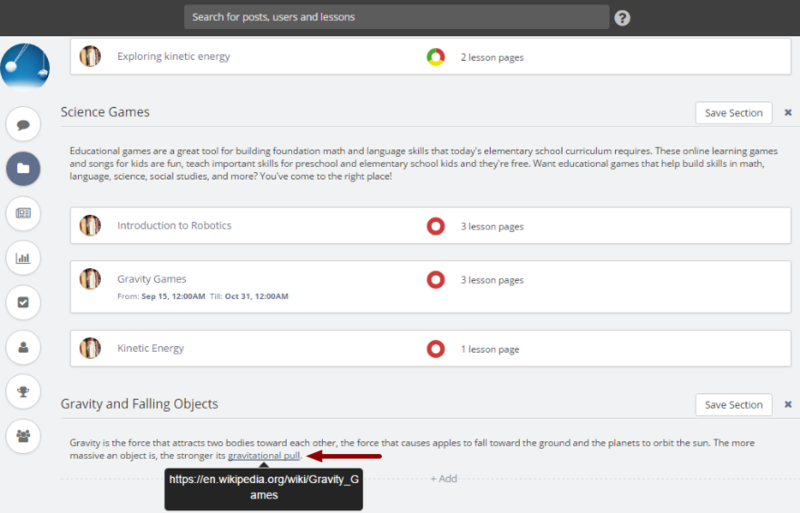 Click the placeholder text to add a description to the newly created section. 9. Add the required description. 11. 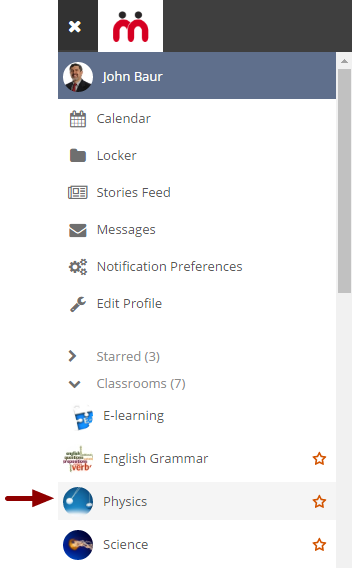 Click Save Section to save the changes. 12. All the changes will be saved shortly and your section will be created. As an instructor, you can rename a section's title, modify its description. 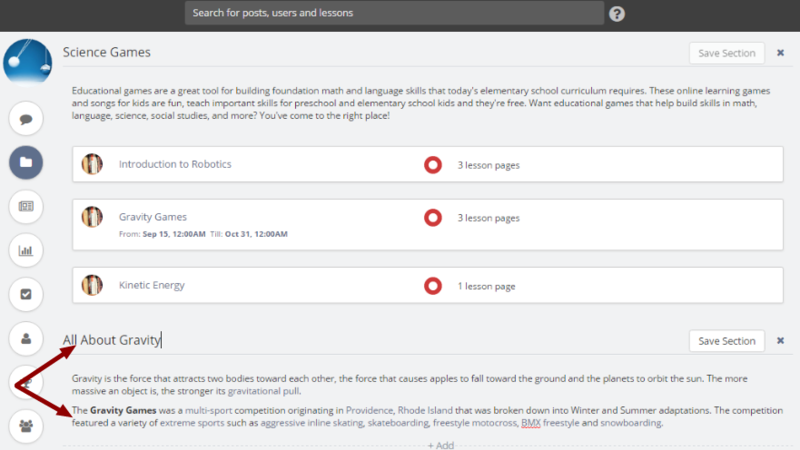 You can use rich text formatting tools to format the section's description. 1. 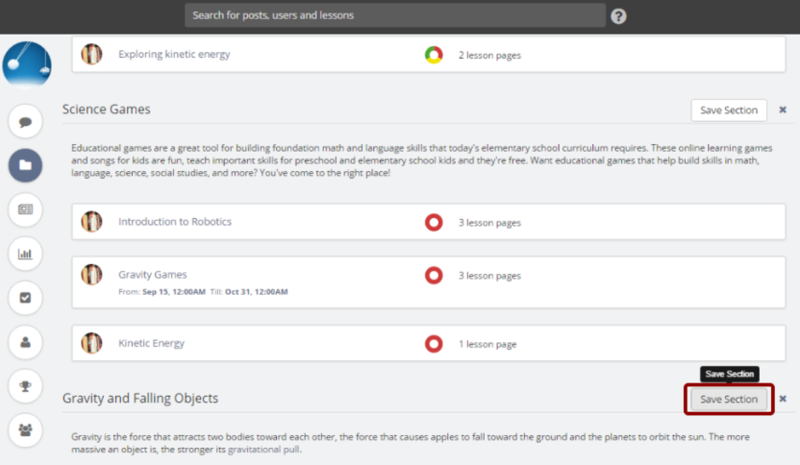 On the Materials page, you can see all the sections created by you. 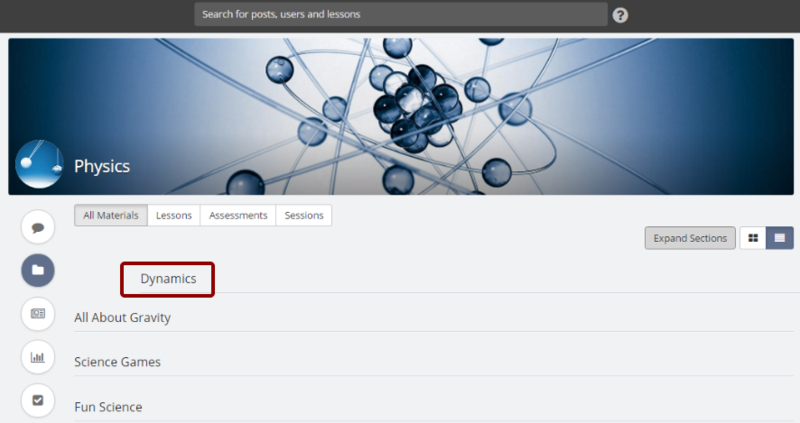 In this example, we will show you how to rename a section’s title and update its description. 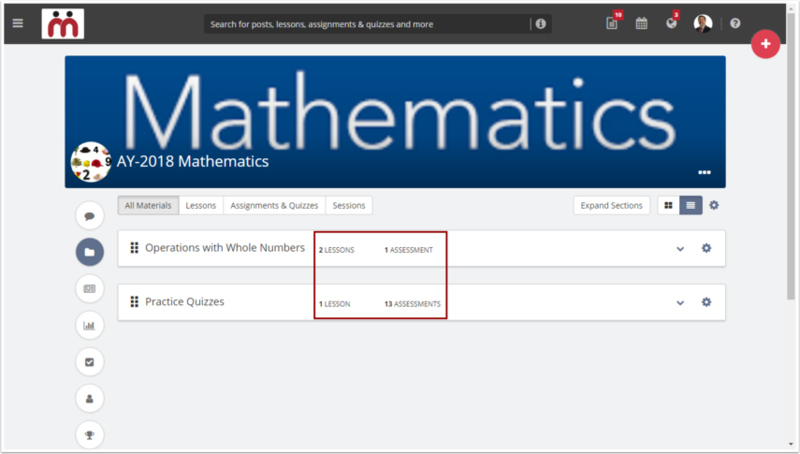 Note: If you have not created any section in your classroom, then you will find all the classroom resources under a default section, named "Learning Resources". 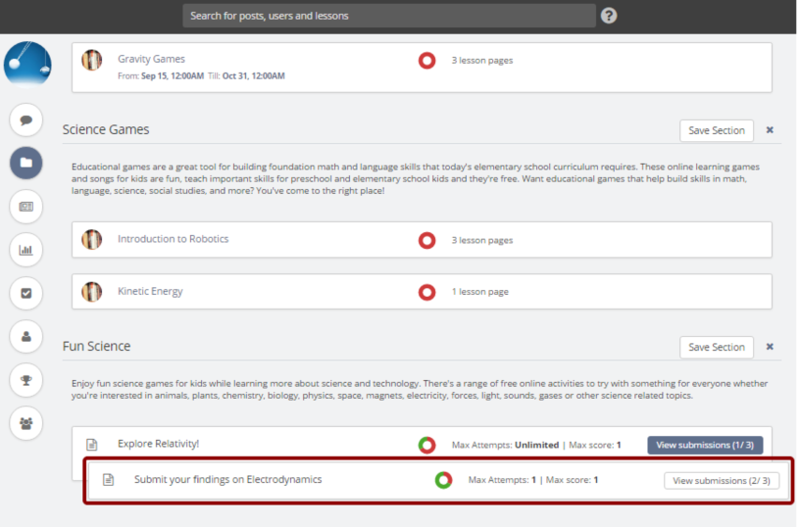 You can easily edit this section as per your requirement along with adding any other sections to the Materials page. 2. 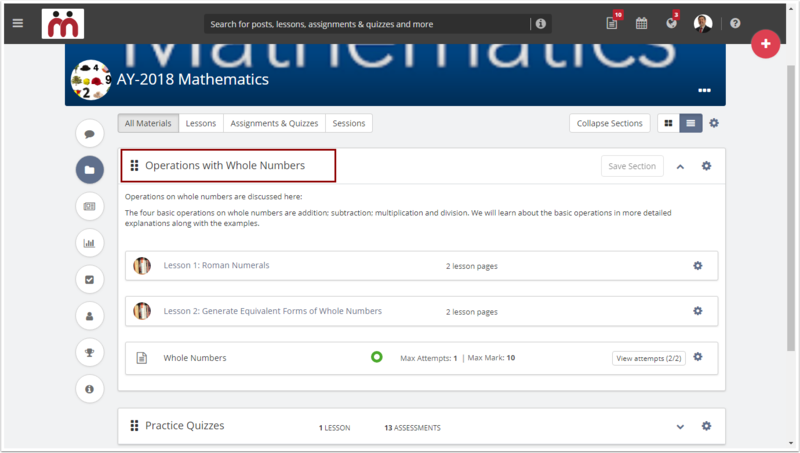 Rename the Section title and update its description as required. 3. Click Save Section to save the changes. 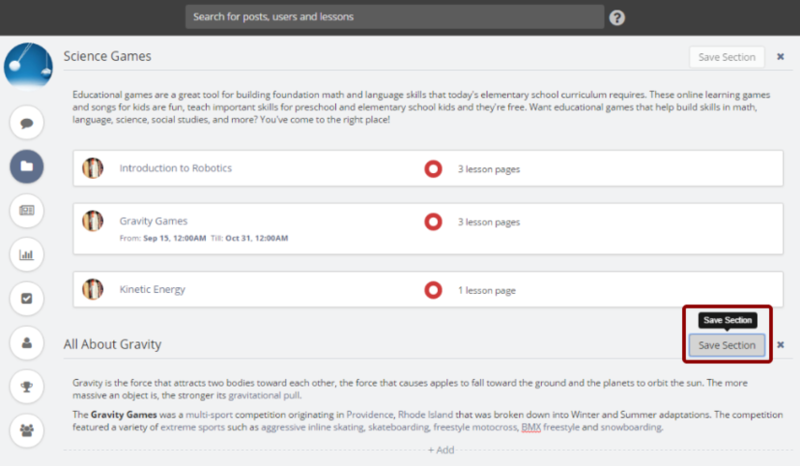 After the changes are saved, the section title and its description will be updated successfully. 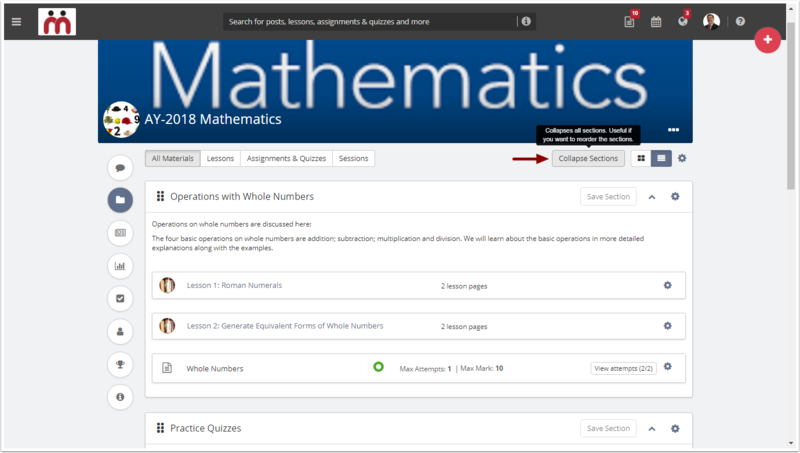 Note: Changes made to the section would be reflected instantly and can be noticed by other classroom members. 1. 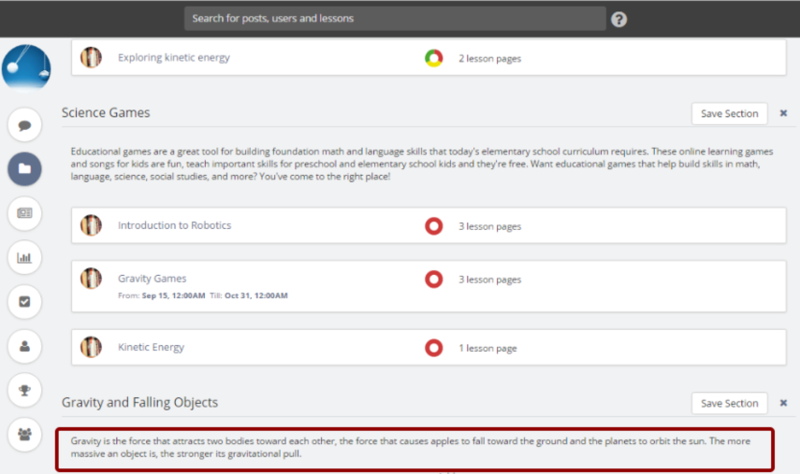 On the Materials page, click Collapse Sections to collapse all the sections in order to reorder them. 2. You will only see a list of sections in collapsed view and items/resources within the sections will not be shown in this view. 3. 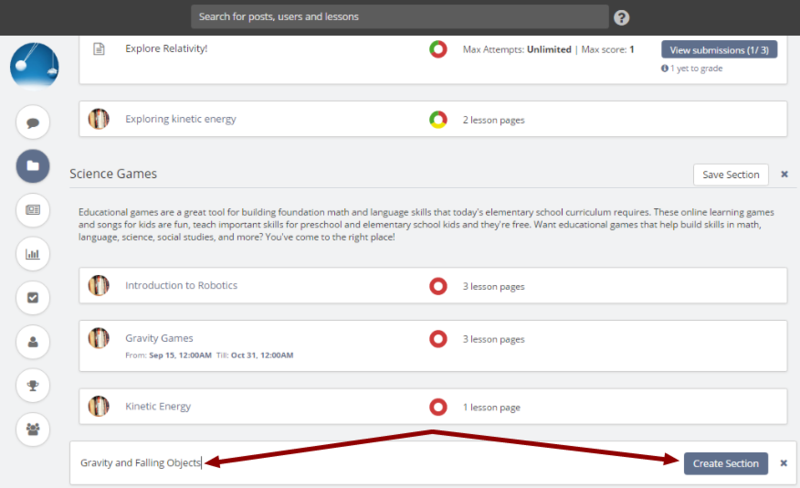 Click and drag the required Section and release the mouse to drop the Section in a new location. 4. Section will be reordered accordingly. 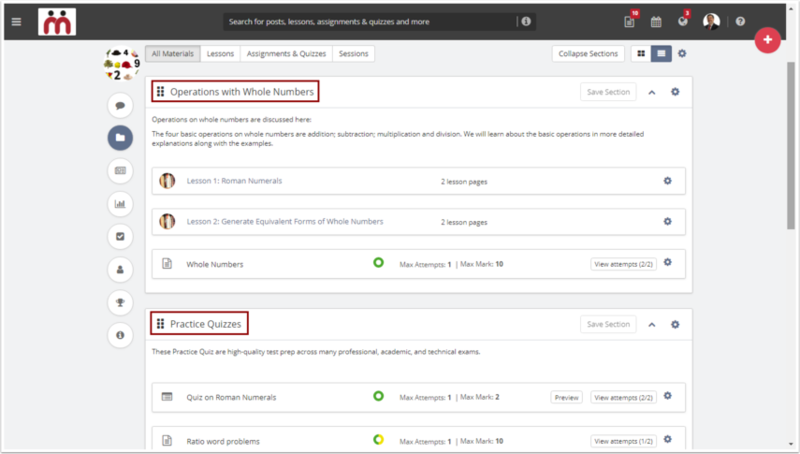 It is easy to reorder and move Resources (lessons and assessments) within /across the sections. 1. 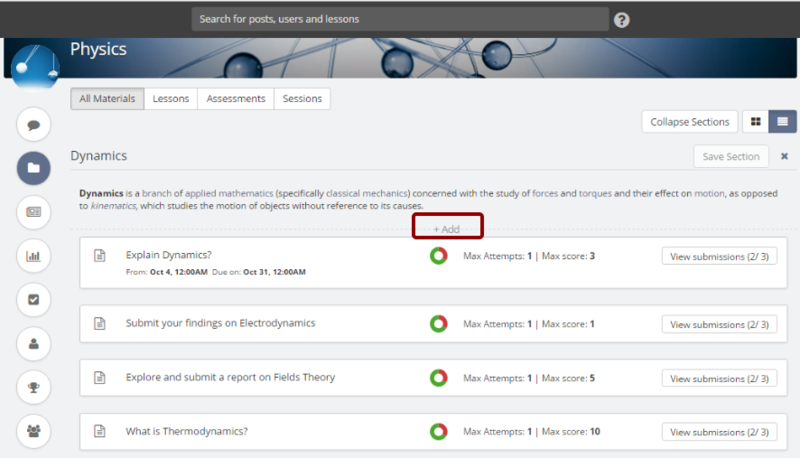 On the Materials page, you will a see list of sections which has some resources within them. You can reorder and move those resources within / across the sections. 2. 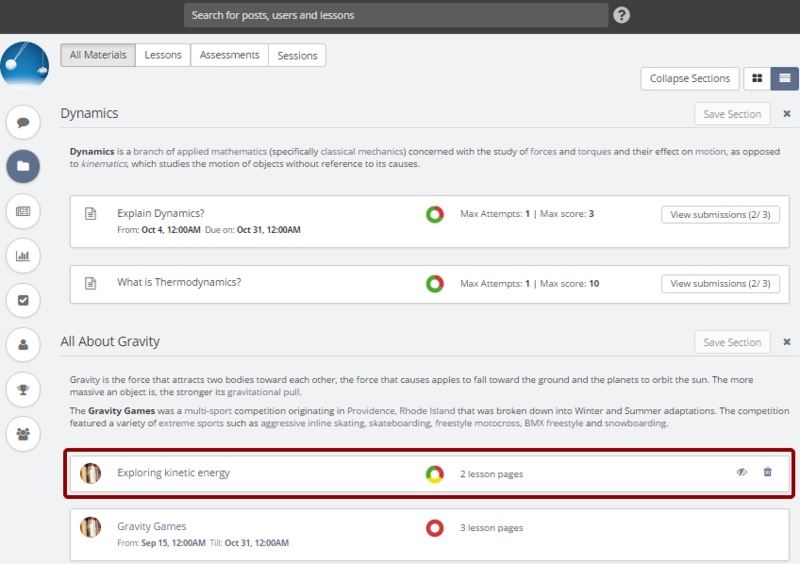 For example, if you wish to reorder and move the Explore Kinetic Energy lesson from Dynamics section to All About Gravity section , then click and drag the lesson and release the mouse to drop the lesson in the All About Gravity section. 3. 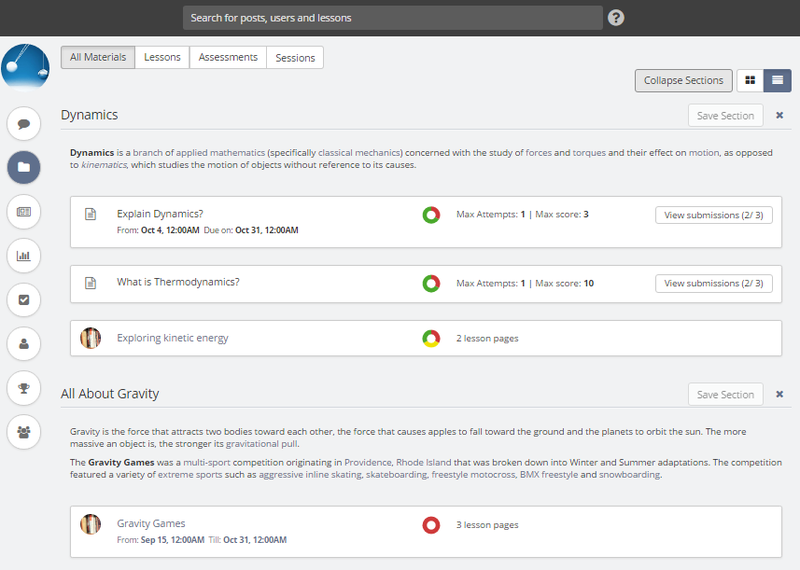 The moment you drop the lesson in to All About Gravity section area, the lesson gets reordered successfully. 4. Similarly you can reorder and move the items within a section. Click and drag the items and release the mouse to drop the items in a new location. 5. 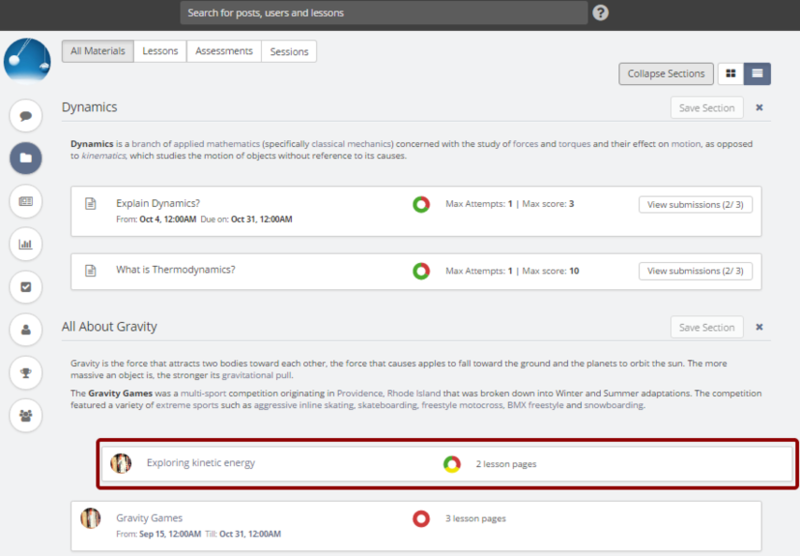 In this example, assignment called Submit your findings on Electrodynamics has been reordered and moved from second position to first position. 1. 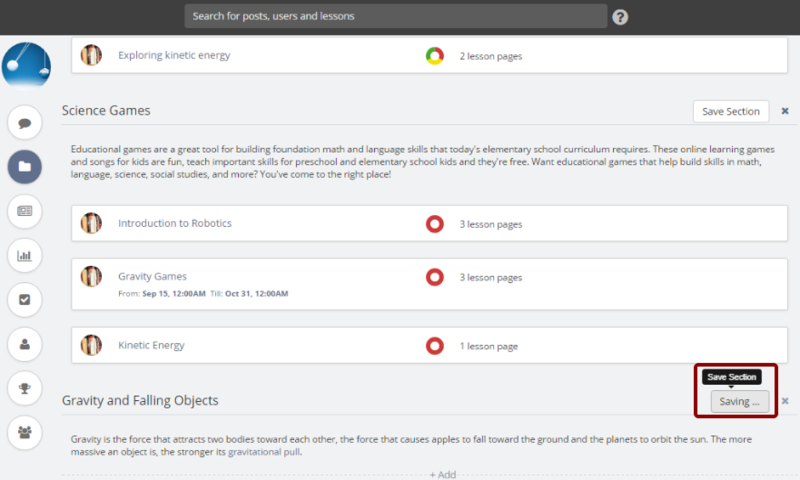 On the All materials page, click Expand Sections to expand all the collapsed sections within a classroom. The expanded sections will remain expanded, if any. 2. Clicking Expand Sections will expand all the collapsed sections and you will see all the materials which have been created in each section. 3. Similarly, click Collapse Sections to collapse all the expanded sections. Collapse Sections button will appear only when you expand all the sections of the classroom. This can come in handy when you want to reorder the sections. 4. Clicking Collapse Sections will collapse all the sections and you may reorder the sections, if needed, using the section handles. You can also see the total number lessons and assessments created in each section when the sections are collapsed. 1. Click anywhere on the collapsed section or the down arrow sign of the section to expand that particular section. 2. The section will be expanded and you will see all the materials created in that section. 3. Similarly, click the up arrow sign of a expanded section that you want to collapse. 4. Clicking the upper arrow sign will collapse the expanded section. 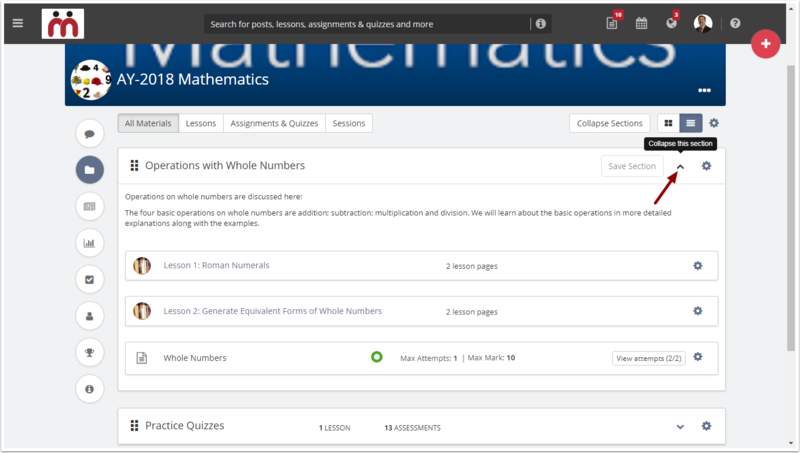 Once a section is collapsed, you can see the total number lessons and assessments created in that section. 1. 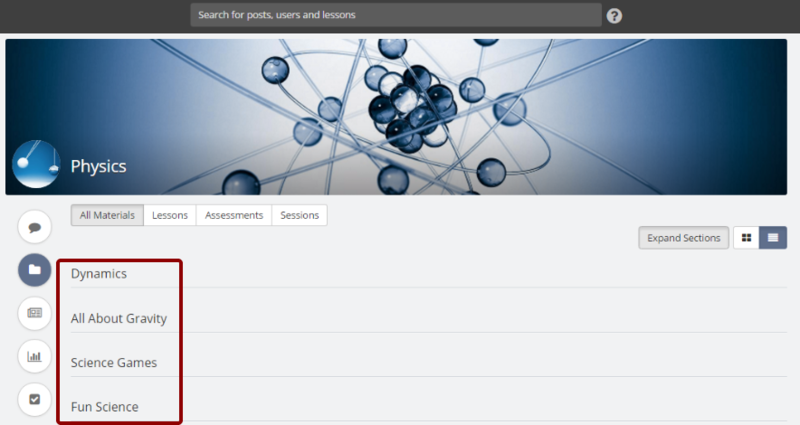 On the classroom’s Materials page and click the gear icon showed at the top right corner. At the drop-down menu, click Delete Section. 2. Click Yes, Remove! to confirm the delete action because this action can’t be rolled back and deleted sections can’t be restored, once deleted. 3. 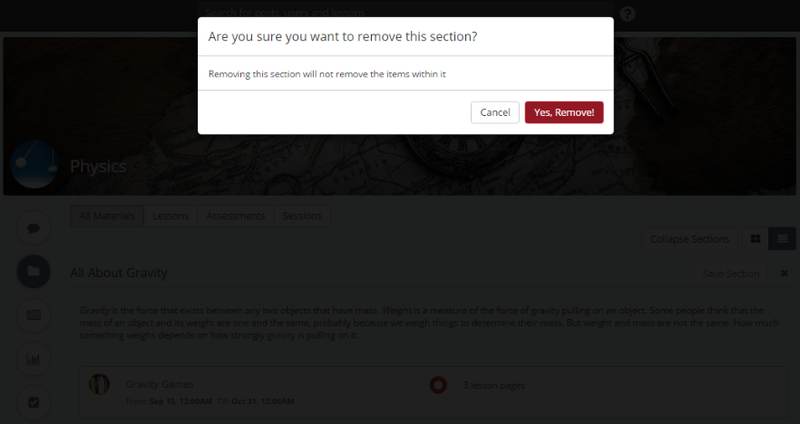 Once you click Yes, Remove!, the selected section would be deleted permanently. 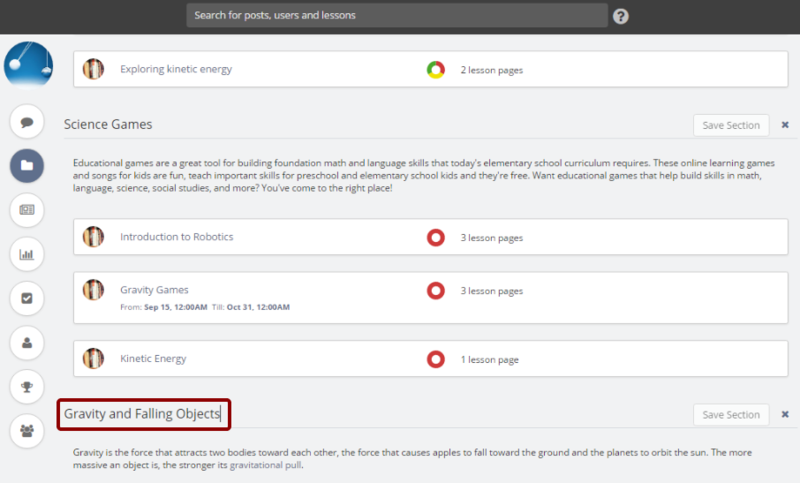 Note: Do not worry, items or resources of the deleted section won’t get deleted and all the items in the section will move to the section above the removed section in your classroom.